It was a tough outing for young Ruhaan Alva at the first round of the 2018 Easykart Italia Championship. Alva, who stepped up to the junior category of the championship, after having finished as second runner up in series in 2017, had to contend with his first taste of driving in the snow, given that the Beast from the East has descended upon Europe. Despite this, he managed to hold his own at Jesolo for most of the weekend. 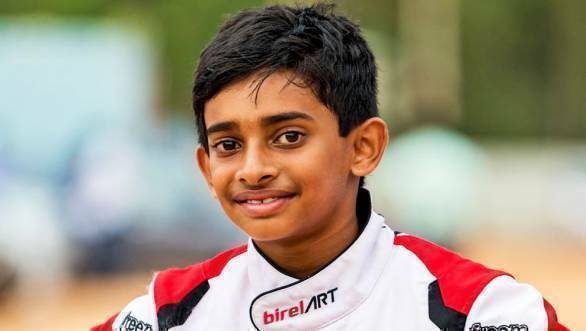 Eleven-year old Ruhaan, who is supported by Play Factory and Birel ART, qualified fifth for the pre-final race, in which he finished eighth. He then was fourth quickest in the warm up session ahead of the 20-lap final. While he started the final race in sixth position, he managed to get a good start and soon moved up the order. He was third by the seventh lap of the race, and looked set to claim a podium position, however, was shunted off the track and thus had a premature end to his race. "It was a novel experience for me to be driving in the snow. Also, the conditions kept changing from snow to wet to dry or the other way around. So, it was quite confusing as my racing lines also kept changing. There was some fog too and it was quite tough," said Ruhaan. The next round of the 2018 Easykart Italia Championship will be held between April 7 and 8.